Smokin Joe’s Rib Ranch is located off Highway 77 on I-35. You may ask where to find good barbecue near me, and you have hit the big time with this epic BBQ restaurant! This legendary BBQ started with an idea from Joe Wells. This family-run business in Davis, Oklahoma was his baby, and that baby quickly got big. He decided to try his hand at BBQ as a part-time hobby, and when the restaurant started out it was in a gas station. Joe needed help so he asked his son Coby, Coby’s wife Bobby Jo, and Courtney to come and help a couple of days a week. They eventually moved the operation to a full-fledged restaurant! What started out as helping family quickly turned into a full time, full out BBQ restaurant and rib joint. The BBQ Mafia was born! The primo BBQ and ribs are an offer you definitely can’t refuse. While there is a pick-up window, it is not a traditional drive-thru window. Call in your order, and you can pick it up. Give us a little lead time because the lines can be a bit long… but that is what you get for producing legendary local barbecue. Folks come from all over to eat at this unique eatery. It is because of our low and slow smoked BBQ and believe us – it is worth a wait. The lines can be an hour or two during peak times, so be sure to allow yourself plenty of time. When it’s busy, you may have a wait, so it is a good idea to know what you want to order when you get to the head of the line. There is a dining room and an outdoor eating area when weather permits. If you are coming in, be sure to get here early because the food is so good, it can run out. We will post items on the front door if they run out but, hey, what can you expect with local bar-b-que this good? 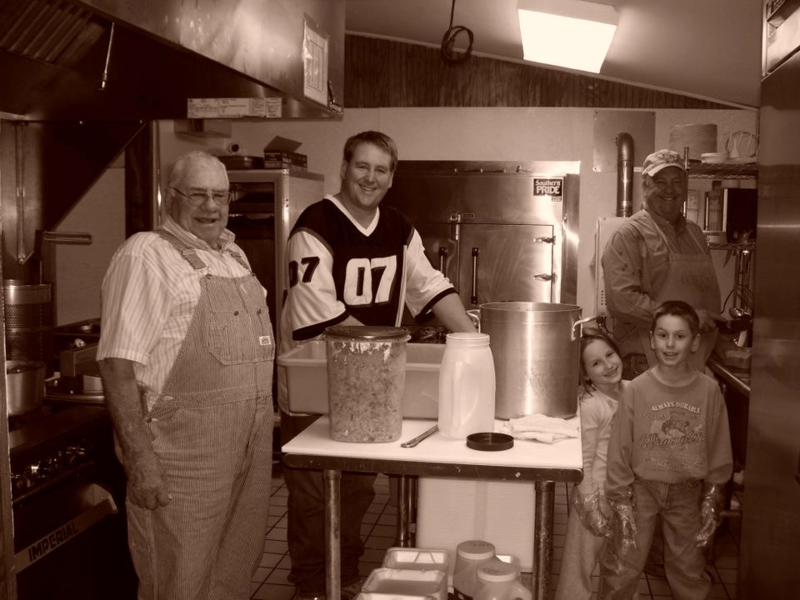 Smokin’ Joe’s Rib Ranch is a BBQ favorite of Davis, OK residents and folks from across the region. We offer tasty meals with a side of family-style service. © 2019 Smokin joes All Rights Reserved.